Episode 10: Real Name [Hontou no namae]. Episode Animation Directors: Sumie Kinoshita, Ryoichi Oki, Hiroyuki Kaidou, Mitsuharu Kajitani, and Souichirou Sako. 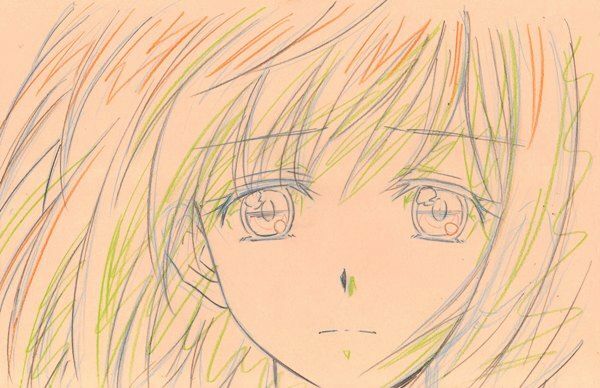 This moody episode deals with Karada's love for her companion Tetsu, who cannot bring himself to understand that the grown-up woman who has become his friend is the same little girl for whom he is desperately searching. 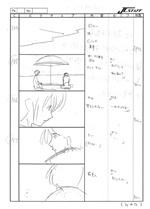 I've been lucky, over time, to find a large number of related sketch sets from this episode, notably Tetsu's big confession scene.